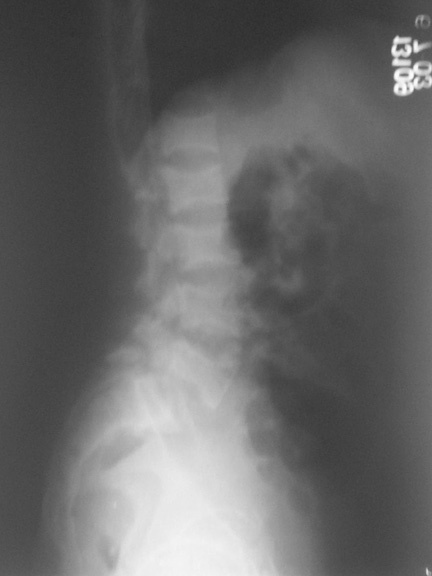 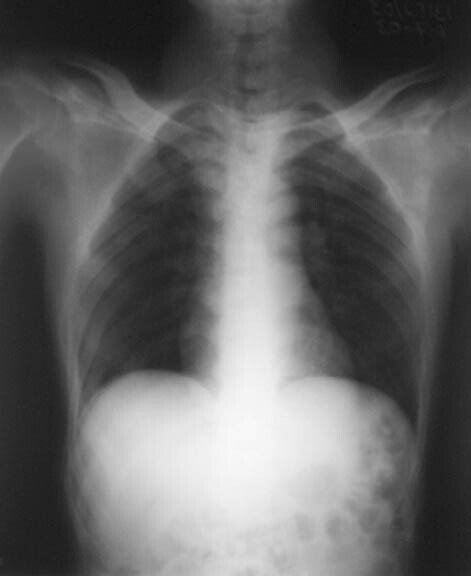 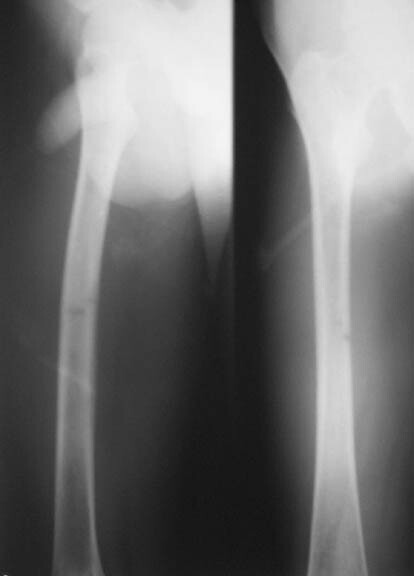 This patient,a middle aged malewas a diagnosed case of hypophosphatemic osteomalacia on treatment. 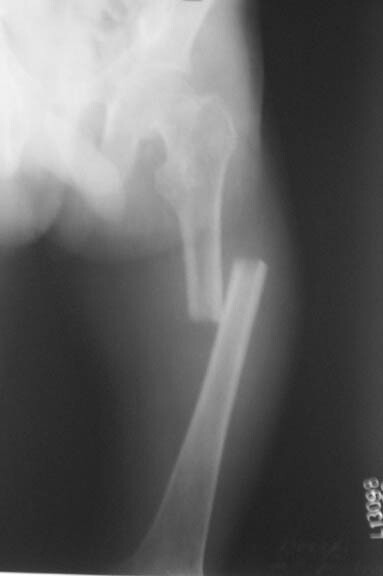 Unfortunately he discontinued treatment since he was poor and also neutral phosphate was not available locally. 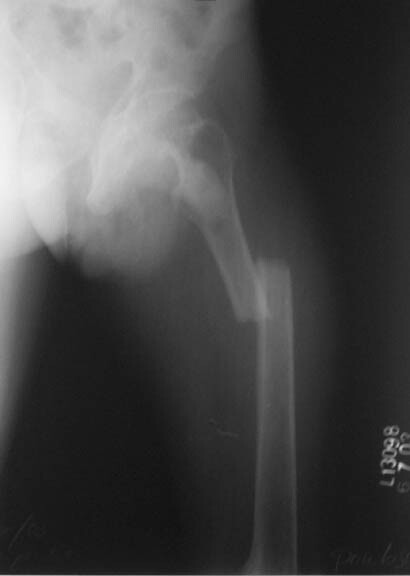 He presented with pathological fracture of left femur and a failing neck of same femur. 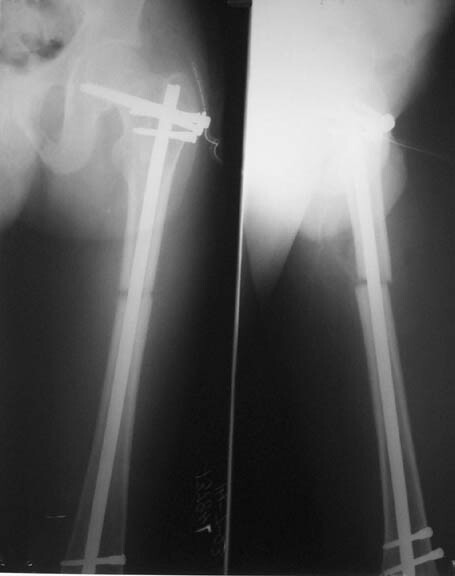 We managed to get neutral phosphate, initiated medical treatment and did an antegrade SIGN nailing of left femur along with couple of screws to neck using miss a nail technique. 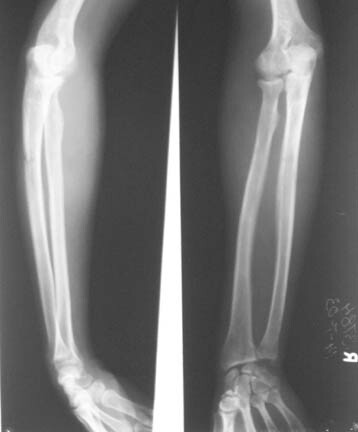 He complained of pain of the right femur and both forearms. 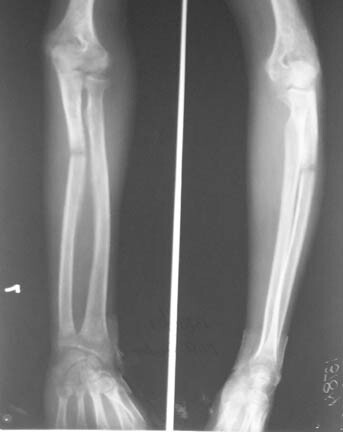 In OT these areas were screened using image intensifier and found that he has looser zones of all these with impending fractures. 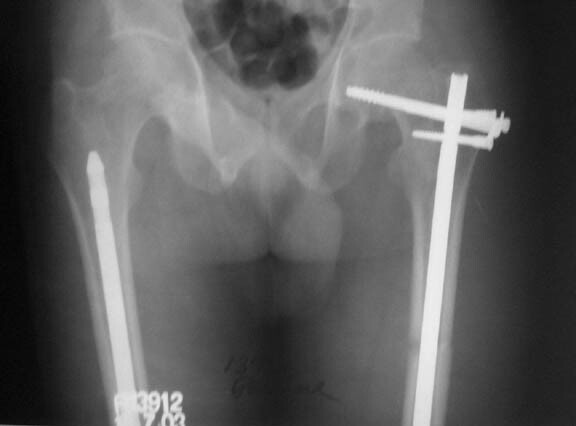 Yesterday we did a retrograde nailing of right femur usingSIGN nail. 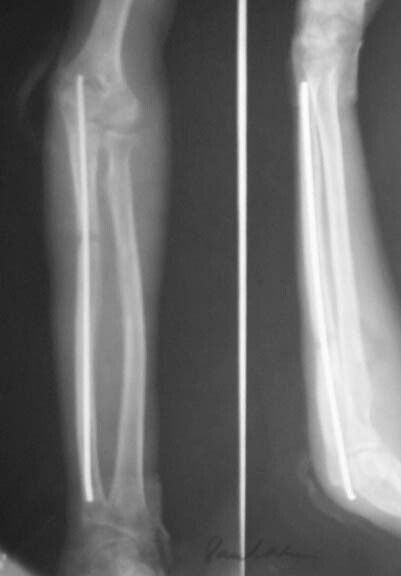 Both ulnas were stabilised usingLambrudini wires in a closed fashion. 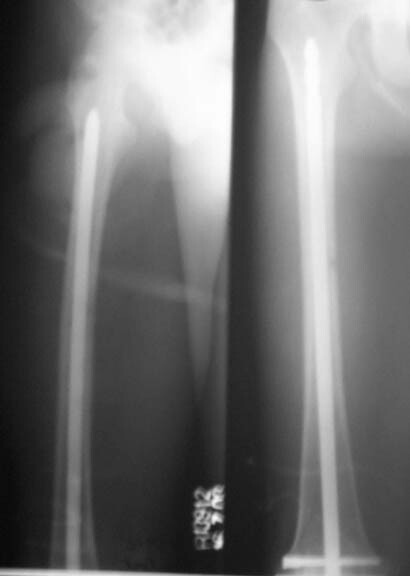 All fractures and looser zones were stabilised by closed surgery using image intensifier. 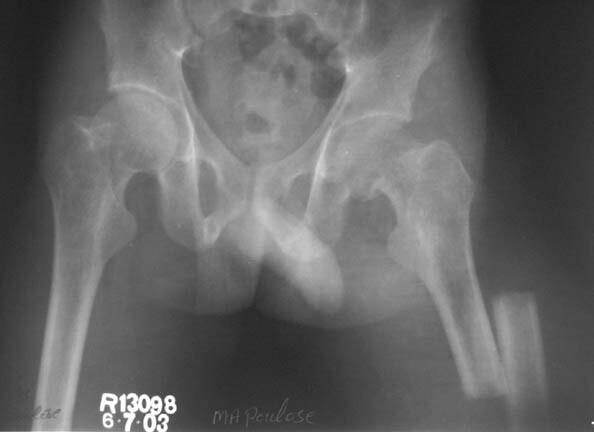 It may be interesting to see the post of picture of both the hips in which one side shows an antegrade femoral SIGN nail and the other side shows a retrograde SIGN nail. 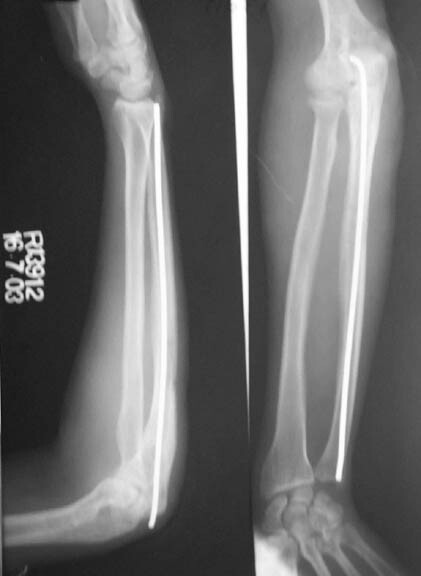 I will be happy to get your comments on this case.